The answer to that question, you’re probably not surprised to hear, is a resounding yes. I recently had the pleasure of serving on a podcast-centred panel run by Networx, an event management company based in Brisbane. Up on stage I was joined by Stevie Dillon of Stevie Says Social and Phoebe Parsons of Confessions of a Twenty Something Train Wreck, two highly-successful podcasters with two vastly different approaches to podcasting. 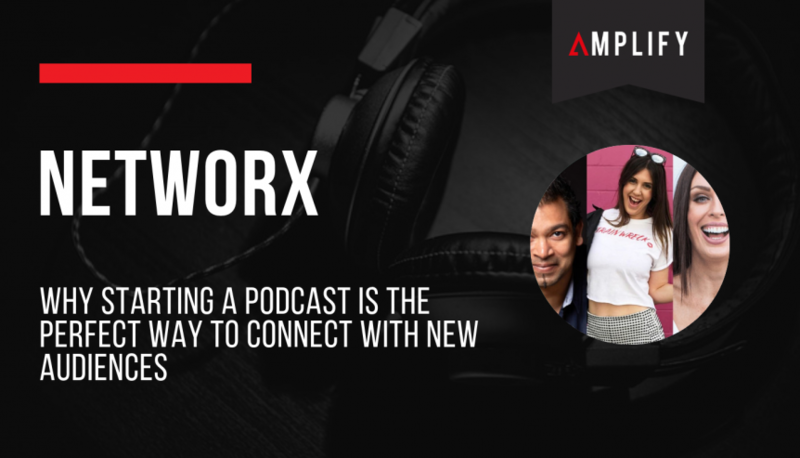 The one thing they did agree on (along with myself) is that podcasting is a great way to boost your business and find new clients. Even if you have no idea what you’re doing. I started Bond Appetit when I was more than $400,000 in debt and dealing with a failed restaurant business. It was slightly impulsive and not the wisest decision: I used a good portion of my very small bank account to buy podcasting equipment. But once I started, and things took off, I never looked back. And I can genuinely say now that nearly every business partner I have, and client that I’ve found, I’ve gained because of my podcasting. People tend to focus on numbers in their businesses. They use marketing tactics like Facebook ads, where they can directly measure how much they spend versus how much they earn from their campaigns. That’s understandable, if you’re not making money, you’re not much of a business, are you? But people forget the value of relationships, of simply getting to know people and being able to reach out to them when you need help. Podcasting is perfect for this. The guests you bring on your show, they’re likely going to become lifelong associates due to the stellar conversation you had with them. You can then leverage these relationships to build your audience. Maybe you can get invited to go on their show, if they have one, and deliver your message to a whole new group of people. Or, if they don’t have a show, you’re in a much better place to ink some deals or create a new partnership. Worst case, you’ve got a new friend or acquaintance. That ain’t half bad either. I tend to preach about the benefits of podcasting a lot. But I just wanted to emphasise in this post the importance of building relationships when it comes to finding new audiences. Podcasting, I truly believe, is one of the best new ways to do that. LINK >> Check out the incredible full episode to get inside the minds of 3 very different podcasters.